Earn your way to the UA Future! The Level Up Youth League is designed to bring all travel teams together regardless of affiliation. If your team have aspiration of being high level. Then this is the league for you. Our league format will grant everyone the opportunity to compete against each other. Doesn't matter if you're a sponsored team or non sponsored team you will get an opportunity to compete against each other in a league format. The league will be held in the brand new 76ers field house in Wilmington Delaware. There will be two stops followed by a tournament style championship. 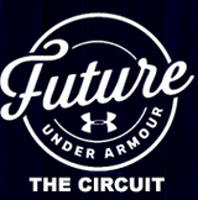 The winner will receive an invite to the Under Armour Future League Championship in Kansas City. The High Level Youth Circuit will give every team an opportunity to compete against each other regardless of brand affiliation. The league is set for all teams to have a fair chance to compete.